Further measures in the fight against discrimination include the publication of a handbook of good practices that will be distributed to FIFA member associations in 2015, guiding them to foster diversity and anti-discrimination in football in their respective countries. The handbook will include information and best practices on policy, education, sanctions and cooperation with civil society partners. Jeff Webb says: Fedact names from FIFA report! And he says he's concerned about corruption? What watch is he wearing? Jeff need to clean up CIFA first. Look at all the Sh@# that is going on here before he start with the bigger picture. They wont allow certain people to play here, but the ones that are not eligible they make them play!! !, then they have the nerves to say they don't know what an eligible player is!!!! Really. Then maybe they should not be on the CIFA Board. RME. They have clubs member sitting on sitting on CIFA board, and doing whatever they like in favor of their club. Wonder what that is calld…. The level of corruption within the FIFA organization is more shocking. No way the race card is being used as a red herring! Take it back! Most people are against discrimination and racism. They are also against corrution and in favour of openess, two things that FIFA don't seem to be concerned about at all. Maybe Mr. Webb should be looking a bit closer to home. CIFA is one of the few FIFA members to deny the right to play football to many adult males who are legal residents. How is this achieved? By limiting the number of non-Caymanian or UK passport holders who are able to sign on with a mens team to 6. 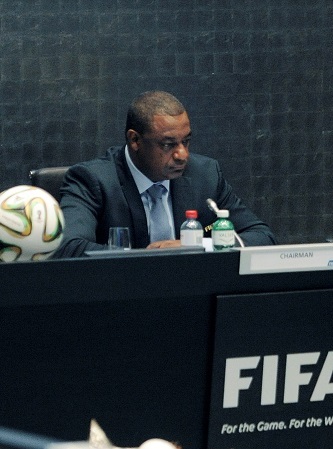 Maybe FIFA should focus on its rampant corruption first. What about FIFA discrimination against unethical Match bids? What about more professional trg & scholarships for more local players in all countries?